Lipids extracted from natural rubber latex using chloroform/methanol and their hydrolysis products were analysed by gas chromatography-mass spectrometry. The main long chain fatty acids are a result of hydrolysing phospholipids in lipids. The content of each fatty acid increased as the storage time of natural rubber latex was increased and the total contents of unsaturated fatty acids were higher than those of saturated ones. 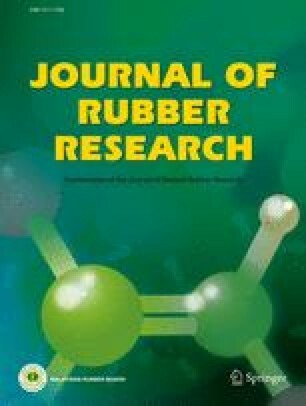 Phospholipids increased the mechanical stability time of concentrated natural rubber latex. The rate of phospholipids hydrolysis increased with ammonia content in the latex. The mechanical stability time, tensile strength and retention of the tensile strength of the aged films increased with phospholipids content. The effect of phospholipids on the elongation at break of the films however was not significant.